Gabriel Conroy’s story about Johnny the horse in the short story, The Dead, sums up the theme that runs throughout Dubliners. Like the horse, who endlessly circles the inanimate statue of King Billy, the lives of Dubliners are stagnant, going round in circles, going nowhere. Dubliners was written in the shadow of the 19th Century, an era which gave ‘didacticism, the pedestrian moral lessons’ to fiction (Burgess, 1992). But the modernists of the 20th Century wished to respond to their own time, a time that was chaotic and confusing. The increasing voices of the women’s movement, mechanization and the accompanying urbanisation of the population, psychological and scientific breakthroughs were just some of the factors affecting writers of the time. In the 1930s, Ezra Pound looked back at the early years of the 20th Century and said it was a time in all to ‘make it new’. Malcolm Bradbury goes further: ‘modern arts have a special obligation…..to go ahead of their own age and transform it.’ (Bradbury, 1988). Joyce was one writer trying to transform his time. Joyce was a leading figure of the modernist movement. He had a modernist suspicion of city life, believing that it degraded humanity. Through his use of the colour brown and his insistence on the drabness of Dublin, Joyce makes his feelings clear. He wished Ireland and Dublin to take a look at themselves, to free themselves from the stagnation that Johnny the horse’s circles represent. He amplifies the monotony by creating his own circles of words; the opening paragraph of The Sisters uses the words ‘softly’ and ‘faintly’, words used again in the closing paragraphs of the final story, The Dead. 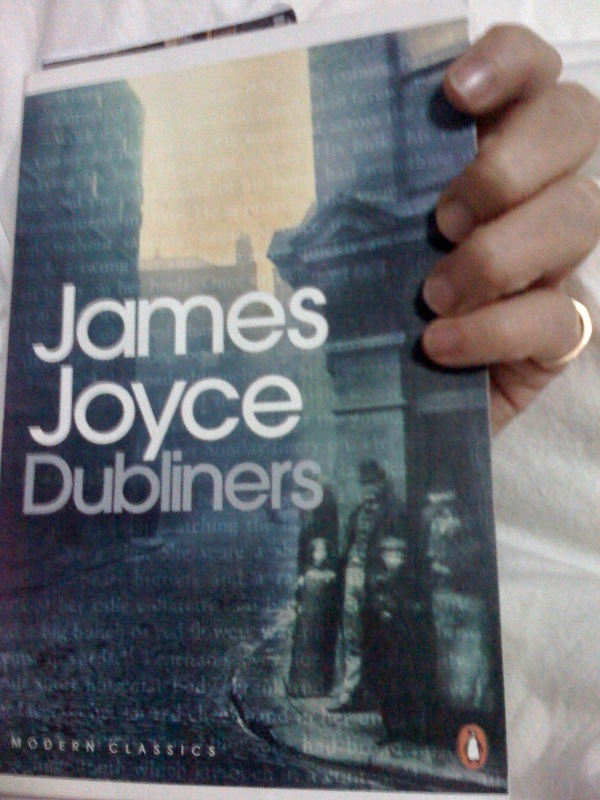 Joyce insists on the paralysis of Dubliners in order to gain spiritual liberation. In Dubliners, Joyce claims that he wished to ‘betray the soul of that hemiplegia or paralysis which many consider a city’ (Joyce letters, 2003). His series of short stories form a novel in as much as they journey from childhood to adolescence and finally to maturity. 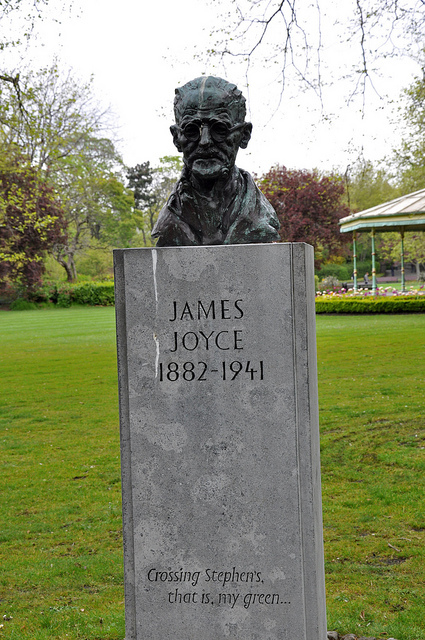 Joyce insists on the paralysis of Dublin throughout his stories. Dublin is a city and a society paralysed by ‘Catholic dogma, British exploitation…self-delusion, alcoholism, Irish hyperbole and blarney’ (Schwarz, 1993). Paralysis sets the theme for all the stories in Dubliners. It opens in The Sisters with the literal, physical paralysis of a stroke but it is soon made clear that it is moral and spiritual stagnation that keeps the lives of Dubliners in shackles. In The Sisters, the word paralysis is brought to our attention: ‘every night, I gazed up at the window, I said softly to myself the word paralysis.’ The boy says the word like an incantation. He has the morbid desire to see the work of paralysis on the body of Father Flynn. But by insisting on the word ‘paralysis’ and by drawing attention to its ‘deadly work’, Joyce demonstrates that paralysis is not simply a physical condition. In The Sisters, the boy is already learning how to be paralysed. On hearing of Father Flynn’s death, he says ‘I knew that I was under observation so I continued eating as if the news had not interested me.’ Indeed, he appears relieved that the priest was dead, feeling as though he had been ‘freed from something by his death.’ But he had had a good relationship with the priest, had learnt much from him and had been fascinated by the priest’s exotic education away from Ireland. Life in Dubliners is a lesson in frustration and disillusionment. As the boy dreams of being able to absolve the paralytic from the ‘simoniac of his sin’, a powerful role reserved for Bishops in Catholicism, as the boy dreams of exotic Persia, we learn that the priest lost his faith, that he died in disillusionment. In the end, he discovered that even a priest (one who should be able to attain spiritual liberation) was not free but paralysed by an institution. The priest’s death freed the boy from searching for the unattainable liberation in the Church. The story of Eveline moves beyond childhood into adolescence. Eveline’s paralysis is shown in her ‘inability to reject the little brown houses of her neighbourhood.’ She is the only character to be offered the positive opportunity to leave the oppression of Dublin. But in the end, she does not. Like the boy in The Sisters who dreams of Persia and power, Eveline dreams of life in Buenos Aires with Frank. She dreams of freedom from the dust, from her father’s violence, for the hard work of a life in a city in which the physical changes did not spell progress but further stagnation. Eveline knows she had a ‘right to happiness’ and knows that Frank’s is the only hand reaching to save her, to take her from a life in which she had become a replacement for her mother. But Eveline fears love, she cannot step out of the gloom of her childhood into independent maturity. The ‘illumined portholes’ which symbolise life and hope are not bright enough for Eveline who fears psychological death away from Dublin. She does not realise that the city is the cause of her fear, or that she will stagnate in Dublin. As Laurence Davies says, ‘she might as well have had a stroke.’ (Davies, 1993) In choosing to reject a new life she has accepted her existence in Dublin, an existence of stagnation and decay. The final story in the collection is The Dead, a story that adds much to the theme of paralysis. It does not, however, end in the frustration of Eveline or the disillusionment of The Sisters. Gabriel Conroy has been away from Ireland; he has been to the Continent. He is the ‘new generation, educated or hyper-educated’ of his after-dinner speech. He is also the generation ‘anaesthetized…to feelings’. In this story, as in The Sisters, Joyce connects death with freedom from paralysis. In The Sisters, Flynn’s death saved the boy from his search through religion for the unattainable liberation. In The Dead, Gretta’s story of the dead Michael Furey saves Gabriel from his psychological paralysis. Michael Furey was a boy who experienced the full extent of emotional and spiritual liberation, he was a boy who died for passion and as Gretta says, ‘who died for me’. There is more life in the story of the dead boy than in any of Gabriel’s self-conscious, pompous pedantry. Gabriel is self-obsessed. He is self-conscious that he married a girl described as ‘country cute’ by his mother. He is aware the guests at the party are ‘a grade of culture beneath him’. He communicates as an after-dinner speaker but is afraid of intimacy. All his words are ‘lame and useless.’ Gretta’s story transforms him. Gabriel begins to feel as though he and Gretta ‘had never lived together as man and wife.’ He experiences real emotion. His eyes fill with tears. His soul moves and his cultured, anaesthetized identity melts into a union with the world. The snow is a symbol of this union; falling all over Ireland, it falls, ‘upon the living and the dead.’ This is one of Joyce’s moments of epiphany, special moments of reality which transform the ordinary into the extraordinary. They are moments of release and moments which offer hope for the future. Joyce says of Dubliners that he wrote with a ‘scrupulous meanness’, an unsentimental, deromanticized account of the people of Dublin. He wanted to show the society for what he felt it was; a society paralysed by the institution of the Catholic Church and political friction between England and Ireland. But he felt the people contributed to their own stagnation too. Through a series of short stories, Joyce views paralysis through all ages and from all angles, from the physical paralysis of Father Flynn, to the cultured paralysis of Gabriel Conroy. Nobody is free in Dubliners. But moments of epiphany are the small moments that offer hope for Dublin’s society and hope of achieving spiritual liberation. 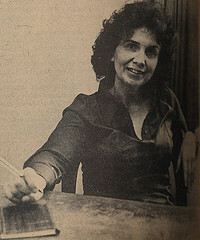 Bradbury, M. 1988. The Modern World. London. Martin Secker & Warburg Ltd.
Schwarz, D. 1993. The Dead (Case Studies in Contemporary Criticism Series). Boston. Bedford/St Martin’s.